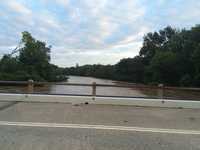 KIDD Bridge is now open after the worst of the Mary River flood waters passed last night. 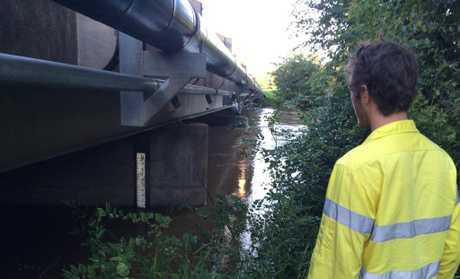 Gympie Regional Council workers were cleaning debri from the bridge from 5.30am this morning. It is unclear yet what level the flood waters peaked at. 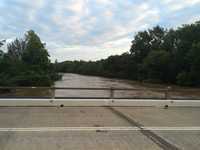 Water is still breaking the banks near Normanby Bridge and minor flooding is still occuring in parts of the region. Watch below: beautiful drone footage of the Mary River swelling. 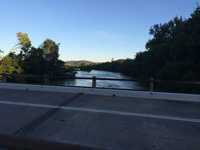 Mary River: Kidd bridge Friday morning in Gympie. KIDD Bridge is closed to all traffic as flood waters continue to rise. Gympie regional mayor and chairman of the local area disaster management group Mick Curran said "I would like to thank emergency services and key stakeholders for their co-operation today. It has been a great effort by everyone. We were well prepared. We remind people to not attempt to cross flooded roads. If it's flooded forget it." A council spokesperson onsite said the river is rising 100mm an hour and is expected to peak between 8-9pm but authorities are not sure how long it will be before levels start to fall. FLOOD water is lapping the south side of Kidd Bridge as the Mary River, which is now in minor flood, continues to rise slowly. 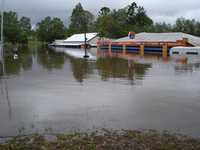 A Gympie Regional Council worker believes the river will rise slowly over the next few hours before it recedes. 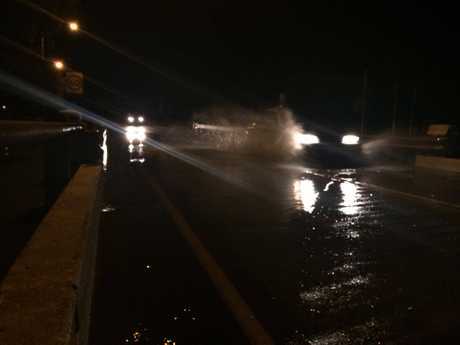 The bridge is not closed, but there is a sign warning motorists that water is covering the road. Moderate flood levels are expected at Tiaro overnight tonight and into tomorrow, but there is no significant flooding expected at Maryborough. 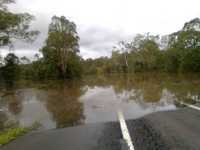 Mary River to Gympie: Minor flooding is occurring along the Mary River to Gympie. The Mary River at Moy Pocket is currently at 4.00 metres and falling The Mary River at Moy Pocket is expected to remain below the minor flood level (11.70 m) during Friday. 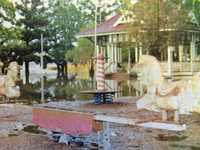 The Mary River at Dagun Pocket peaked at 9.8 metres around 13:00 pm Friday 31 March and is currently at 9.60 metres and falling. The Mary River at Dagun Pocket is expected to fall below the minor flood level (7.00 m) Saturday morning. No observations are available for the Mary River at Gympie. The Mary River at Gympie is likely to fall below the minor flood level (6.00 m) Saturday afternoon. Minor flooding is easing in Six Mile Creek. Minor to moderate flooding is occurring along the Mary River downstream of Gympie. 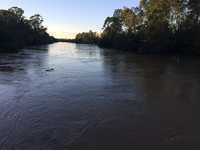 The Mary River at Miva peaked at around 9.6 metres Friday morning and is currently at 9.19 metres and falling. The Mary River at Miva is expected to fall below the minor flood level (7.50 m) Saturday morning. The Mary River at Tiaro is currently at 8.00 metres and rising. The Mary River at Tiaro will exceed the moderate flood level (8.00 m) overnight Friday into Saturday. The river level at Portside at Maryborough is currently at 1.6 m and falling with the tide. The Mary River at Maryborough is expected to remain below the minor flood level (5.00 m) during the weekend. Rises are occurring along Tinana Creek but levels are expected to remain below minor. Flood Safety Advice: Remember: If it's flooded, forget it. For flood emergency assistance contact the SES on 132 500. For life threatening emergencies, call Triple Zero (000) immediately. FLOOD water was 30cm underneath Kidd Bridge at 3pm this afternoon at a height of 9.6m. The Bureau of Meterology is reporting that moderate flooding could still be likely, but the height would need to reach 12m at Kidd Bridge. The Bureau will update river heights at 5pm. THE Mary River water level has reached 8.9m Kidd Bridge as the council work to try and estimate whether or not the bridge will go under. 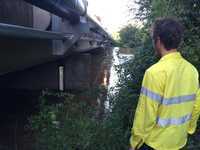 Council is measuring the rise of the river on hourly intervals. The river is still rising at a rate of 200ml per hour but has slowed from a rate of 280m per hour recorded earlier in the day. 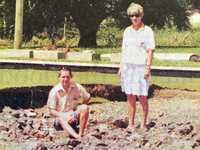 The bridge normally goes under a river height of 9.4m. 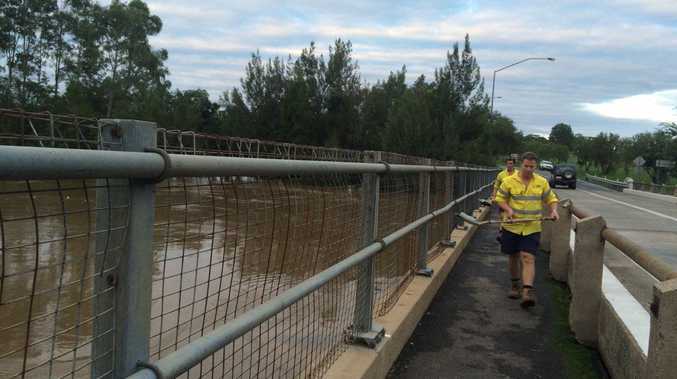 VIDEO: Mary River rushing at the Kidd Bridge at 8.20am this morning, Courtesy of Nathan Dennys. According to the Bureau of Meteorology, minor to moderate flooding is occurring along the Mary River downstream of Gympie. The Mary River at Miva is currently at 9.61 metres and peaking and will remain around the moderate flood level (9.50 m) Friday morning before easing Friday afternoon. The Mary River at Tiaro is currently at 7.25 metres and rising and will exceed the moderate flood level (8m) overnight Friday into Saturday. The river level at Portside at Maryborough is currently at 1.6 m and falling with the tide and is expected to remain below the minor flood level (5m) during the weekend. Minor flooding is occurring along the Mary River to Gympie. The Mary River at Moy Pocket is currently at 7.15 metres and falling and expected to remain below the minor flood level (11.70 m) during Friday. The Mary River at Dagun Pocket is currently at 9.72 metres and rising and is expected to remain below the moderate flood level (13.00 m) during Friday. No observations are available for the Mary River at Gympie and is expected to remain below the moderate flood level (12m) overnight Friday into Saturday. MINOR flood levels are expected in Gympie today with the Mary River rising to 8m at the Kidd Bridge at 6.30am this morning and still rising. Gympie Regional Council workers were checking the river level marker this morning at Kidd Bridge and will continue to do so hourly. 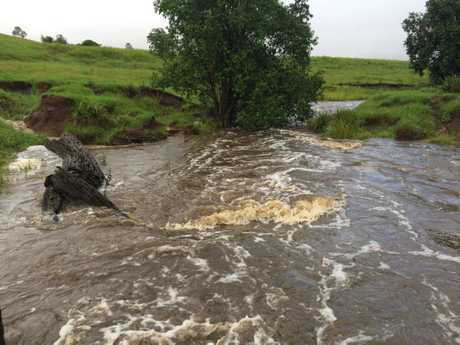 The Bureau of Meteorology reports Mary River catchment area totals between 100-230mm in the 48 hours to midnight Thursday, with isolated higher totals up to 285mm recorded at Maleny. Gympie received 63mm in 24 hours, much less than the predicted huge rainfall of up to 200mm and severe storm warnings released for the Gympie region yesterday afternoon causing some people to say "Debbie dodged us." 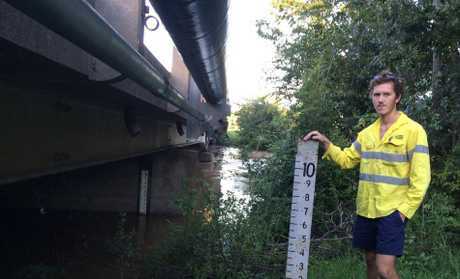 YESTERDAY: Let's get technical - how much does the Mary River need to flood? Bureau forecaster Nicholas Shera said the remnants of Ex-Cyclone Debbie formed more of a convergence south of Noosa rather than over Gympie like originally predicted. The rainfall associated with ex-Tropical Cyclone Debbie has cleared the Mary catchment. ROLLING COVERAGE: Which roads are closed in Gympie? The Mary River at Moy Pocket is currently at 8.8 metres and rising. The Mary River at Moy Pocket is expected to remain below the minor flood level (11.7 m) early Friday morning. Minor to moderate flooding is occurring in Six Mile Creek. River levels are currently peaking. 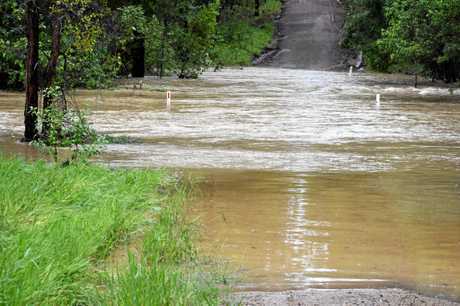 Strong rises occurred during Thursday evening in Wide Bay Creek at Kilkivan and Munna Creek at Marodian. 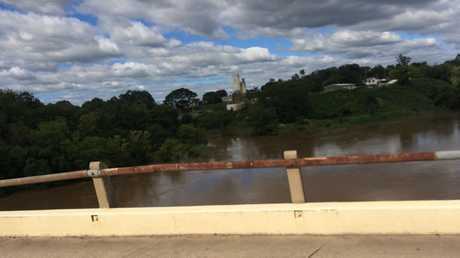 The Mary River at Miva is currently at 6.99 metres and rising. The Mary River at Miva will exceed the minor flood level (7m) in the next few hours. 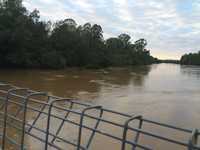 The Mary River at Tiaro is currently at 5.70 metres and rising. The Mary River at Tiaro will exceed the minor flood level (6.00 m) in the next few hours. 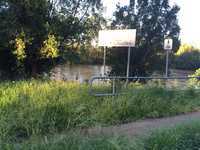 The river level at Portside at Maryborough is currently at 4m with the high tide. The Mary River at Maryborough is expected to remain below the minor flood level (5m) during Sunday. Rises are occurring along Tinana Creek. Remember: If it's flooded, forget it. For flood emergency assistance contact the SES on 132 500. For life threatening emergencies, call Triple Zero (000) immediately. 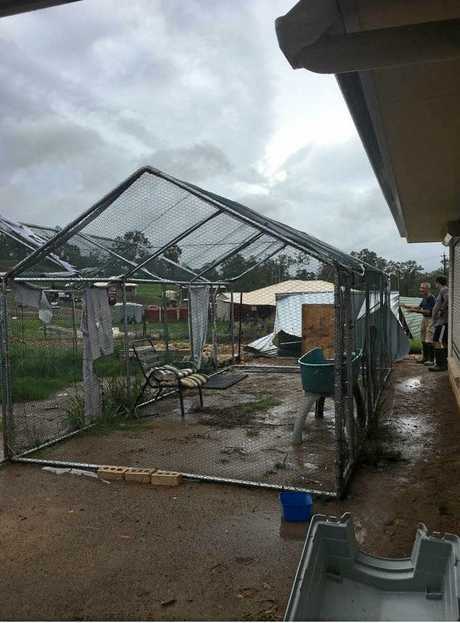 AS ex-tropical cyclone Debbie continued to break and move out of the Gympie region late today, a severe storm with damaging wind tore through some neighbourhoods, bringing flooding at Glenwood, downing trees at Curra and destroying at least two sheds. The storm was headed straight for Gympie at one stage and the Bureau issued a severe storm warning, but then soon after it changed direction and headed south towards the Sunshine Coast and Moreton Bay. "It ain't coming to Curra. We have had enough rain and destructive winds. We lost two sheds plenty of rain but to pick up two sheds like rag dolls. Was insane. Sounded like a plane engine coming through and then a bomb hit." Meanwhile, to the south of the Gympie region, delays are expected on the Bruce Hwy as wild weather continues. A statement by the Sunshine Coast Council has said traffic delays are expected on the Bruce Highway south of the Sunshine Coast as severe weather continues to hit the region. The Department of Transport and Main Roads has advised the southbound lanes of the highway at King John Creek at Elimbah has been closed from around 5.30pm with a contra-flow in operation, to cater for traffic in both directions, on the northbound lanes. Parts of the Sunshine Coast Hinterland have received more than 200mm of rain from ex-TC Debbie in the past 24 hours with heavy rain expected across the evening and into the night. 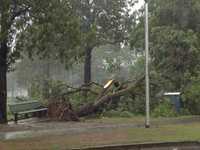 Winds that have reached over 100kph have brought down trees on the Coast with more than 26,000 residences without power. An evacuation centre is now open on the Sunshine Coast should people require emergency shelter. The Local Disaster Management Group (LDMG)　Coordinator Andrew Ryan continues to advise against all unnecessary travel. 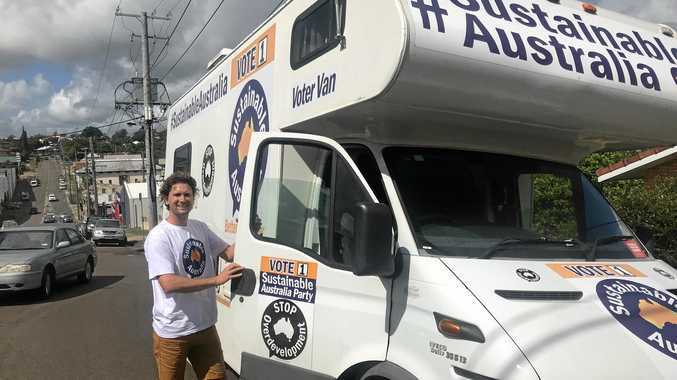 "The evacuation centre is there for people who expect their homes to be inundated or who may be faced with road closures and cut off from getting home," Mr Ryan said. "Everyone else should stay off the roads. 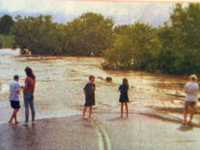 If travel is absolutely necessary, please remember to never drive through flood waters. 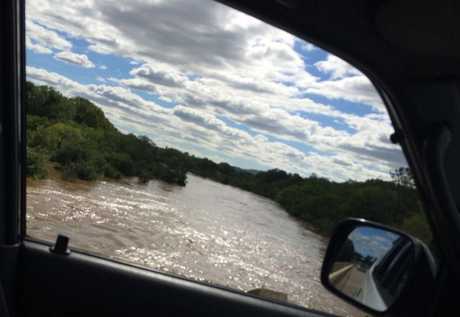 "Even if it doesn't look too bad, do not take the risk - you never know what the condition of the road is under the flood waters or how deep they are." 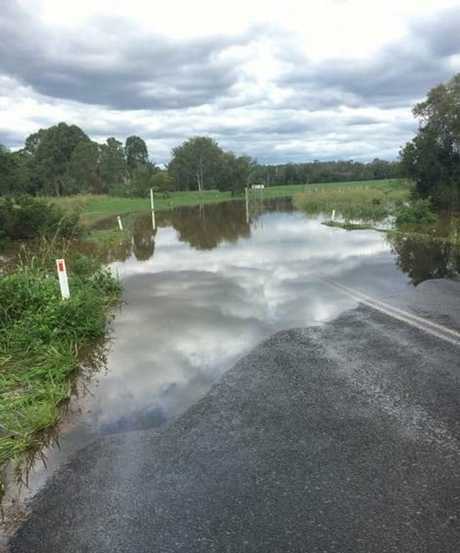 There are now 49 roads on the Sunshine Coast closed, with more closures expected with the further heavy rainfall expected this afternoon and tonight. 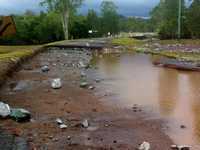 Road closures continue to be updated on Disaster Hub at www.disaster.sunshinecoast.qld.gov.au. Kerbside collection services will continue as normal tomorrow. All Sunshine Coast beaches are closed with minor erosion occurring on some beaches. Visit council's Disaster Hub at www.disaster.sunshinecoast.qld.gov.au for all the information you need to be prepared before, during and after severe weather including how to plan an emergency kit, weather warnings, road closures, airport information and news updates. For assistance call SES 132500. 000 for emergencies. Meanwhile, the Gympie disaster management group met at 5pm to discuss the weather and the possibility of any flooding in the Mary River.